Date of registration—exhibitors who sign up early will be rewarded with location priority. Early registration gives us more time to work with special requests and floor plan configurations. Early exhibitor commitments make it easier to recruit as many retailer attendees and industry insiders as possible. Consecutive years of attendance—if you exhibited in 2018, you’ll get first priority on booth location, but early registration is still required. Size of order including the exhibit hall booth and demo space—the more square footage you order, the better your visibility and aisle access. It’s that simple. These factors will influence the placement of exhibitors’ booths in the exhibit hall. Exhibitors will submit location preferences during registration. Show organizers cannot guarantee returning exhibitors their previous year’s location (but we’ll try)! The floor plan will be fine-tuned every year to improve foot traffic throughout the hall. New exhibitors and returning exhibitors with revised orders will naturally necessitate annual floor plan adjustments. We will do our best to honor special requests but strongly emphasize the “earlier the better” rule. Paddlesports Retailer reserves the right, in its sole and absolute discretion, to determine who will be permitted to display products as an exhibitor, and the size, location, and configuration of exhibit space. Once registered for the show, exhibitors should arrange a booth package, additional furnishings and materials shipping and handling with our show decorator, Event1. All the necessary forms, information and contacts are contained here. Advanced shipments can arrive July 29 to August 23. Direct shipments to the Cox Convention Center will be available August 25 and August 26. Event1's discount deadline is August 13, so try to make arrangements prior to this date. Note that exhibitors reserving 10x10 and 10x20 booths prior to June 1 will receive a basic booth package (pipe-and-drape and a name placard) included with their standard registration costs. Exhibitors registering for booths of these sizes after June 1 will have the cost of a basic booth package added to their registration fee. The Cox Convention Center provides electrical and internet connection services for exhibitors.  Paddlesports Retailer has secured complimentary standard wireless internet services for exhibitors and retailers for the 2019 show. Only vendors requiring additional IP addresses and dry line hookups will need to make additional internet connectivity arrangements with the CCC. 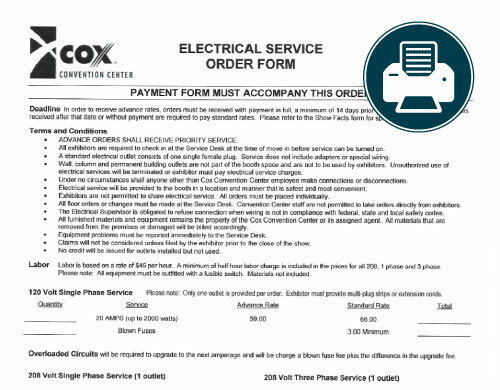 Electrical service is not provided by the show and must be arranged directly with Cox Convention Center by Monday, August 5th in order to receive advanced rates. For exhibitors who didn’t attend the show last year, this map gives perspective on the main exhibit hall and surrounding areas. Returning exhibitors will notice new high-visibility spaces added at the main entrance and in the corridor leading from the registration area to the exhibit hall. The Buyer Hospitality Area is currently located up front near the check-in desk to create a comfortable lounge space while giving exhibitors more square footage in the hall. As exhibitors begin to register, the map may shift. Updates along with exhibitor assignments will be posted here as they become available in the months leading up to the show.